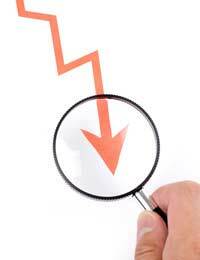 During a period of downturn, marketing budgets are frequently the first to be cut. Marketing is often thought of as a ‘discretionary expenditure’, and not absolutely necessary for the day-to-day running of a business. However, this viewpoint is dangerously wide of the mark. Marketing is of particular importance during a downturn, but it is vital that it is done right. It is certainly true that the market for photography services will shrink during a recession, although the extent to which you are affected may well depend on your particular speciality. However, it is important to remember that there is still a market, regardless of the degree to which it has shrunk. This has been compounded by the collapse of several major photographic chains. The major difference is that there is more competition between outlets for the custom. As such, marketing your business in an efficient and cost-effective manner is vitally important. If anything, the basic tenets of marketing become even more important during a downturn. In reality, potential customers are not actually interested in hearing about your business or your brand. Instead, consciously or not, these individuals are asking, “What is in it for me?” Your marketing material must address the perceived needs and desires of your customers, rather than bombarding them with information about how great your brand is. During a recession, the primary concern for many individuals is likely to be cost. As such, you may consider running promotions of some sort. Clearly, the nature of the promotion will depend on the nature of your business. However, you should be careful to ensure that these deals and offers do not portray your company as unprofessional or not as worthy as your competitors of potential customers’ cash. As such, you should avoid words like ‘cheap’, and instead use phrases like ‘low-cost’. It is also worth remembering that not everyone is frugal all the time – indeed, not everyone has cause to be frugal. Even those who are scrimping and saving will occasionally feel the need to treat themselves. This is particularly true in speciality areas like wedding photography or child portraiture. In these cases you will need to be even more careful about the wording and feel of your marketing material. Customers looking for a ‘treat’ are less likely to be willing to sacrifice quality or luxury, but are still likely to be looking for the lowest possible price. Striking a balance between quality and value is the key. It may take you a few attempts to find the right tone. Don’t be afraid to experiment, but ensure that you monitor the results carefully; you may well find that it is the least likely tactic that is the most effective. It is important that you keep a close eye on the results of any new marketing efforts, either by monitoring your leads (that is, the number of potential customers you gather) and your conversions (that is, your total number of sales). A bit of legwork and a bit of ingenuity can help to ensure that your business not only survives the recession, but thrives during it.